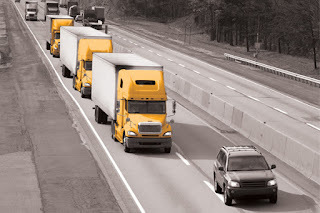 Auto Industry Newsletter: Autonomous trucking – anyone interested? According to reports, within the next decade, we can expect that the number of autonomous vehicles on U.S. roads will become a mainstream force. While this will noticeably decrease the cost to move goods, it puts the 1.7 million truckers on US roads at-risk for becoming unemployed. So, just how much benefit will the trucking industry gain from self-driving trucks and platooning? Will platooning become a reality, or it is just wishful thinking by truck makers? Just how soon will it become a reality? And who will benefit most? Is the technology in place to make it happen? And is the technology really safe? How does the insurance industry feel about these developments? And has the ground been adequately prepared to implement driver training? Should trucks carry illuminated signs to alert other drivers that the trucks in front are platooning and that extra time is required for overtaking manoeuvers? There are lots of questions to ask. On 19 October, Transport Topics’ Neil Abt will host a LiveOnWeb at 12noon EST to discuss new developments and future forecasts. Joining him will be, TT’s Technology Editor Seth Clevenger, and special guest Fred Andersky, director of customer solutions and director of government and industry affairs at Bendix Commercial Vehicle Systems.